The Liberty Bistro is located in the heart of our historic downtown Sedro-Woolley. We have created a unique and exceptional dining experience in Sedro-Woolley. We offer over 30 “Small Plates”, Hearty “Bistro Bowls” and Farm to Table Dinner Special Tuesday through Saturday. We pride ourselves in providing an amazing level of service food that is cooked from the heart using the best ingredients we can get our hands on. Homemade Sausages, Slow Roasted Meats, Curry & Roasted Vegetables, Mac & Cheese, Seafood are some of our best sellers! We host 4-5 culinary events a month like our Wine Pairing Experiences, Beer Dinners and Bingo Nights! Our family friendly dining room is clean and comfortable for everyone! Make sure you take a look at our Event Calendar! Take a Tour of our new menu! Thank you Skagit County for voting us best caterer in 2018! We are a flexible caterer with many options for your wedding, special event or lunch time gatherings. Please see our online catering menu of services and reach out to us with any questions or to get started booking your event. We have 6 rotating craft beef & cider taps. 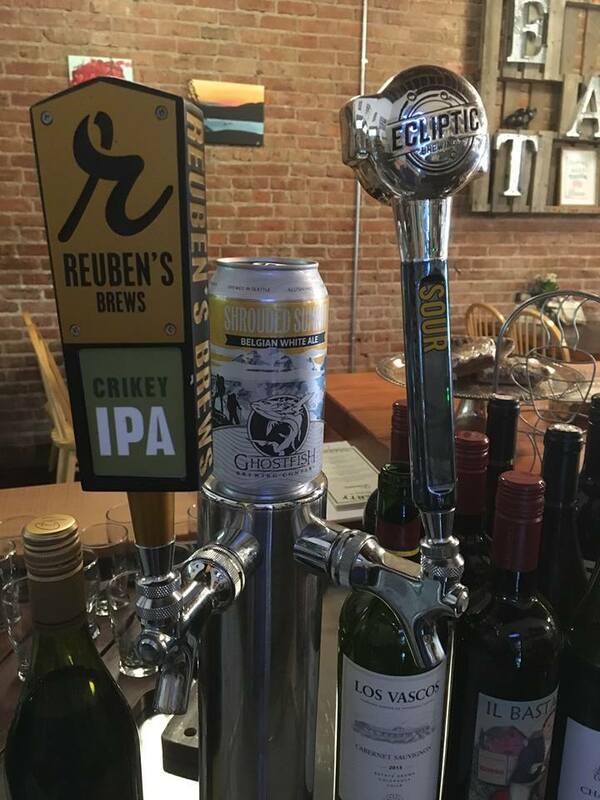 Please call ahead to find out what is on tap as the selection changes often. We typically support local brewers such as Boundary Bay, North Sound Brewery, Kulshan, 7 Seas and Many more. While your downtown Sedro-Woolley, please consider visiting one of our favorite places to shop, stop, drink and eat. Flowers on Woodworth - Right next door!